This dish made a rather unconventional Valentine’s Day supper for us this year. 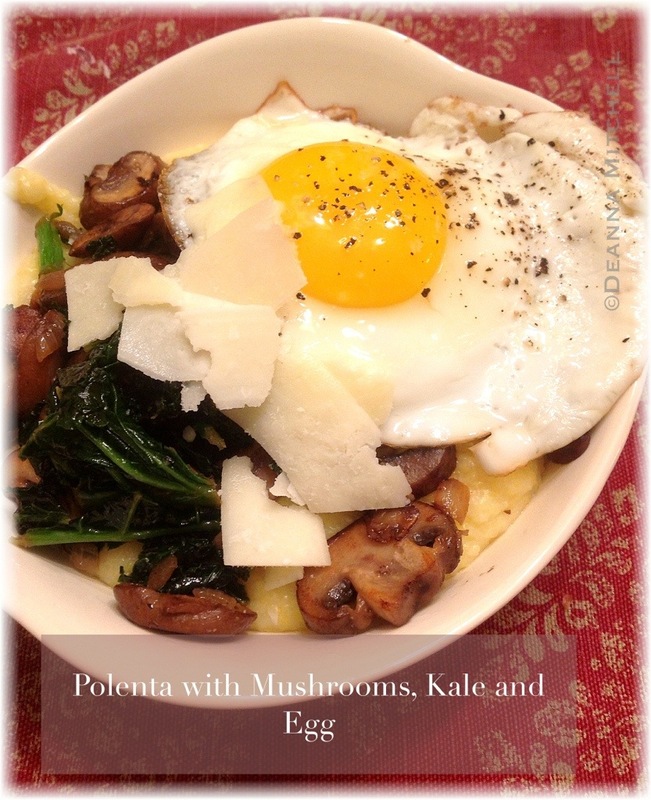 Tired of the usual “let’s grill a steak,” we opted for a simple, but delicious dish of polenta (in our case we used local stone ground grits), winter greens, rich mushrooms and onion, topped with a farm egg and shaved Parmesan cheese. It was a delicious, almost-vegetarian meal that was both warming and nutritious. Add the water and salt to a saucepan and bring to a boil. While water is heating, add the olive oil to a skillet and heat to medium high. Add the onion and cook for about 3-4 minutes, or until the onion is soft. Add the garlic and cook 1 minute. Reduce heat to medium. Add the mushrooms to the skillet, stir well, add some salt and pepper and sauté for about 5-6 minutes. While mushrooms are cooking, add the grits to the boiling water, stir well and cook according to directions (about 6 minutes). Add the milk and butter. Stir well and keep grits warm. Add the kale to the skillet, stir well and cook 5 minutes or until the kale is wilted. Correct seasonings, if needed. Heat a small, non-stick skillet over medium heat and cook the eggs to your desired doneness (I like them to have runny yolks). Assemble the dish by adding hot grits to two bowls. Top with the mushrooms mixture. Add an egg and some shaved Parmesan cheese to the top of each bowl. Like many families across the U.S., we have spent the last couple of weeks hunkered down at home waiting for our unusually snowy and icy weather to go away. We have had seven snow days in the last three weeks and really, it is time for these children to go back to school. Now, I love an occasional snow day with all its excitement and plans to make soup, bread and cookies. In our part of North Carolina, “snow events” are typically 24 hour deals–enough to have fun, but not so much that you go stir crazy. Not this year though. Oi vey. I can only imagine how parents in Pennsylvania, Minnesota and Atlanta feel. This is all to say that when the first snow came, we figured that was our one snow of the year, so we had all the big snow fun we could. We made snow figures, went sledding, baked homemade cookies, soup, bread, pasta and ate up. We ate alot. It was great. Except a week later, we experienced another snow and ice storm. Realizing we could not continue on this eating plan without serious consequences, we scaled back on our hibernation feasts and tried to get excercise. Put the almonds into a food processor and grind until until you have a course almond meal. Add all the remaining ingredients and pulse until you have a moist dough. Shape into tablespoon sized balls. Flatten each ball with the back of a fork to make a cross hatch pattern. Refrigerate cookies for 30 minutes. 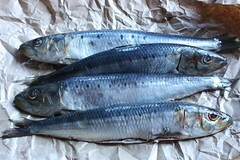 These will keep in the refrigerator in a air tight container for up to a week. I am still perplexed as to why Eat Italian Food Day is not Eat Italian Food Month. We are not, however, beholden to whoever makes those decisions. So in open rebellion of the “food of the day” policy makers, here is another recipe that we will be making this weekend. It takes advantage of Italy’s coastal waters as well as its love of the tomato. I am planning to buy fresh pasta at the farmer’s market tomorrow and I’m excited about that, but when left to my own devices, I like whole wheat angel hair pasta for this dish. Pasta con sarde is high in antioxidants and omega-3 fatty acids and relatively low in fat. Basically, this is a fast, healthy and very inexpensive dish that is perfect for weeknights when you really don’t feel like cooking. What? You don’t like sardines? My suggestion would be to have an open mind and try sardines that are packaged boneless and skinless as they have a milder taste to them. Trader Joes carries these for about $2 a can. And indeed, this dish would be better with fresh sardines rather than canned, but until global warming really kicks in, I don’t know that sardines will be swimming off the shores of North Carolina. If you are (like my child) absolutely resolute in your dislike of sardines, you could use cooked salmon or tuna and you would need very little (6 oz), just increase the amount of olive oil you use or the sauce will be dry. This is a great dish for stretching out what you have. And who doesn’t want to do that these days? Bring a large pot of salted water to boil. Add pasta and cook according to directions for al dente pasta. While pasta is cooking, heat olive oil in a skillet over medium heat. Add the onion and cook about 2 minutes until soft. Add the minced garlic and cook about 1 minute more. Stir in sardines with their olive oil and tomato sauce and stir to combine. Add salt and pepper to taste. When sardines are heated through, add bread crumbs and stir. Remove from heat. Drain pasta, reserving 1 cup of the pasta water for the sauce. Add drained pasta to the sauce in the skillet and combine. If the sauce is too dry, add pasta water 1/2 cup at a time until you get the consistency you like. The sauce should cling to the pasta. Add lemon juice and lemon zest to the pasta, stir and serve with parmesan cheese. I love to run. And that’s really pretty funny because I’m not very fast or agile. Growing up, I never ran and wasn’t even athletic. I was the “creative” one, and somehow that excused me from participating in sports. When I was about 30, a friend loaned me a book that changed how I viewed running. The book was The Courage to Start, and it detailed the progress of John Bingham from heavy, smoking, drinking, middle age dude to svelte, non-smoking, still slow-as-molasses runner. I wasn’t in terrible shape when I started running, but it was comforting to have someone tell me it was ok to be the penguin, not the gazelle. It sounds silly now, but growing up, it never occurred to me that you could be athletic and not be consumed with competition. Or with being super fast. I always assumed people ran because they wanted to be faster than everyone else, not because they wanted to feel good or to challenge themselves to just be better than yesterday. I loved that book, and it encouraged me to find a love of running and an appreciation for what my body can do and not be critical of what it can’t. I will never be a gazelle, but I can be the penguin who is thankful for every day that my legs and lungs are strong enough to see me through. Tom and I started training for a half marathon last fall, and we will run our big race at Disney in a couple of weeks! Our long runs are now at 15 miles and we are setting our sites even higher! Last week, we registered for the City of Oaks Marathon in November. Really, every time I write or say that, I kind of freak out a little. Here’s the thing about running. Running makes me hungry, and when I bump up my mileage, I become voracious. But if I eat what I feel like eating, I will be way less of a gazelle and more like a sloth. One of my favorite fill ‘er up foods is steel cut oatmeal. 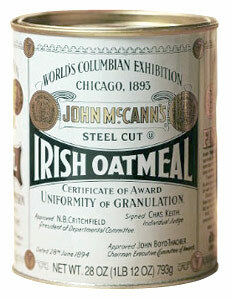 If you haven’t tried steel cut oats and you think you don’t like oatmeal, I’d encourage you to try it. It’s a whole different animal from those paper packets of highly sugared, processed oats. Steel cut oats are very high in fiber, higher in protein and high in iron. In fact, I don’t know why Popeye wasn’t eating oats, because they have more iron than spinach! So fuel up, get outside and have fun! The recipe below is for basic steel cut oats and here are some links to my favorite add-ins! If you ever have an opportunity to get bison strip steaks from Whole Foods, I highly recommend it. They are worth every penny. Steaks you can cut with a fork. Yum, yum and yum. But on to Seattle. This dish was our Seattle representation and it was equally awesome (and a bit more budget friendly than the steaks). I would make this again for brunch and add an over easy egg to the top. Ohhhhhh, so delicious! And our leftovers were terrific warmed up for a second supper! A note about smoked salmon: Most smoked salmon you find in the grocery is cold-smoked salmon, sliced very thin and usually served on bagels. You know what I’m talking about. For this dish, though, you want the hot-smoked variety. Hot-smoked salmon is a thick fillet of fish smoked over a heat source. It is harder to find in a regular grocery (at least in North Carolina), but specialty grocers like Whole Foods carry a nice assortment. We bought a maple smoked version produced in Alaska, and it was pretty phenomenal. Highly, highly recommend this. Although my Denver Broncos completely tanked, we still had a great pre-game celebration that included some new recipes, so the evening wasn’t a total loss. Click HERE for last year’s Super Bowl menu! In a stock pot, add the potatoes, 1/2 teaspoon kosher or sea salt and water to cover. Heat the water and boil the potatoes for 5 minutes or until just soft. Drain the potatoes and let sit while you prepare everything else. In a large skillet, heat 1 tablespoon of the cooking oil or bacon fat over medium heat. Add the onion and cook for 2-3 minutes or until onion is translucent and soft. Add the sliced fennel and cook for about 5 minutes or until the fennel is soft. Add the fennel seeds, salt and pepper to taste. 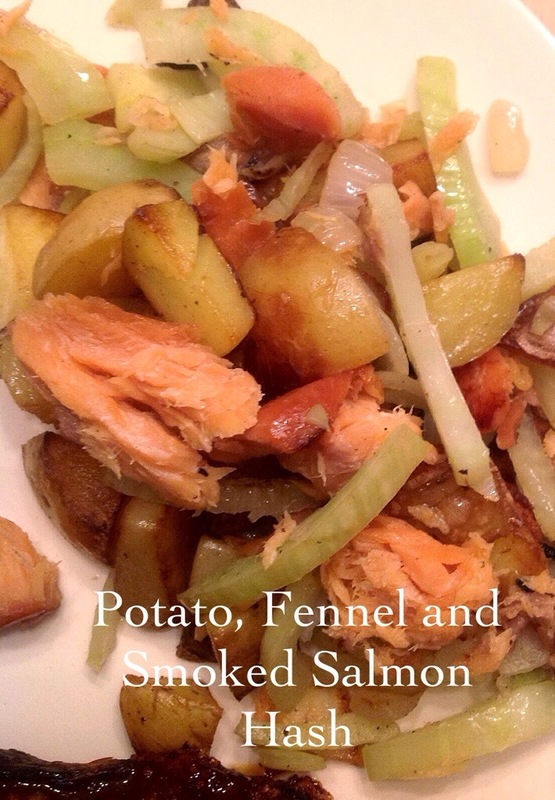 Remove the fennel/onion mixture to a bowl and set aside. Wipe the skillet clean. Add the remaining oil/bacon fat and heat over medium heat. Add the drained potatoes, and cook for about 10 minutes. You want the potatoes to be nice a browned with a little crust on them, so don’t stir the potatoes too often. Add the fennel mixture to the potatoes and stir well. Gently flake the salmon and add to the skillet. Cook until everything is heated through. Check for seasoning and add salt and pepper if needed. For brunch or for a heartier supper, add a poached or fried egg to the top! We’re at that point in winter when there isn’t a tremendous variety in what we can find at our local farmer’s markets. Lots of greens–kale, collards, cabbage–and sweet potatoes. All great, but I start to crave some variety about this time in the season, and that’s where our freezer comes in. We freeze fruits and vegetables during the spring and summer growing seasons so we can stretch our local foods over a longer period of time. After the holidays, I dig into that freezer with great enthusiasm. Strawberries, blueberries, peaches, green beans, corn, tomatoes, peppers, pesto…just what I need to make it though the boring late winter. 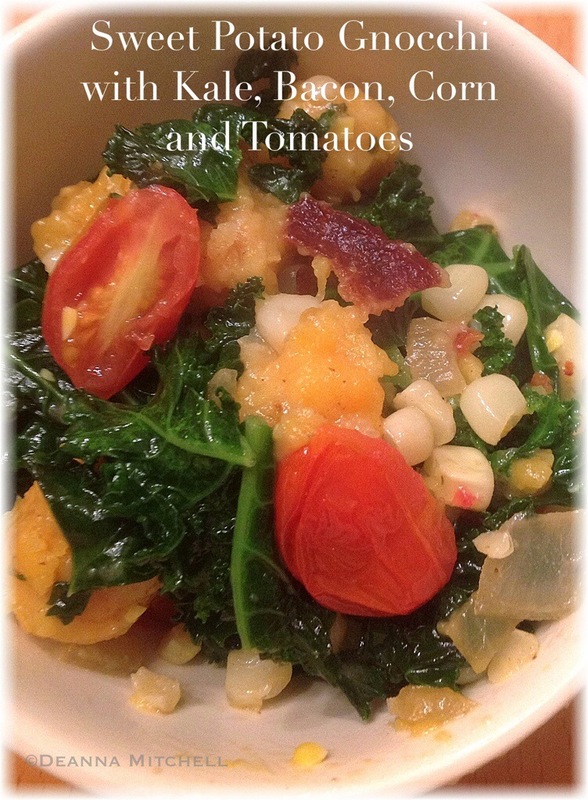 This dish takes advantage of local sweet potato gnocchi combined with kale from our garden, bacon from Mae Farm and corn and onions from our freezer. Add some grape tomatoes from the grocery, and we have ourselves a hearty dinner that is also fairly healthy and definitely delicious. 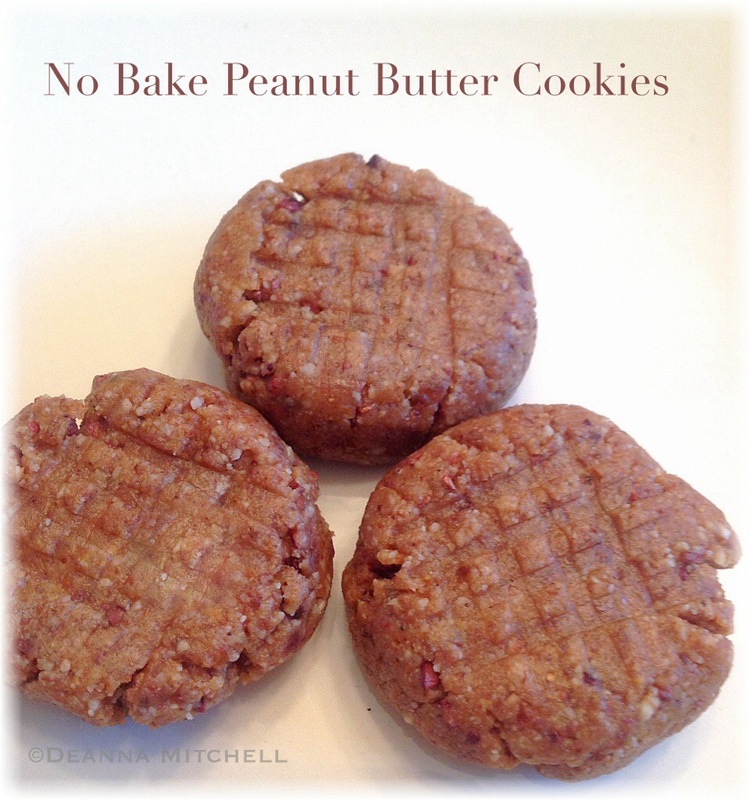 The idea for this came from a recipe I saw on Pinterest by blogger Teaspoon of Spice. At the time I was cooking, I couldn’t find the recipe (note to self: organize your Pinterest boards), so I made this up instead–they are pretty close though. My version uses kale instead of collard greens and I cooked the greens in the sauce instead of boiling them separately. The flavor is very fresh and delicious. I hope you enjoy! Set cooked gnocchi aside while you prepare the dish. In a large skillet, brown the bacon over medium heat until crispy. Remove the bacon from the pan and drain on some paper towels. Return the skillet with the bacon drippings to the stove and heat at medium. Add the chopped onion and cook, stirring frequently, for 3-4 minutes or until the onion is soft. Add the chopped kale and toss well (I use tongs) to keep the kale wilting. Cook kale for 2-3 minutes. Add the corn, gnocchi and tomatoes. Toss well and continue cooking until the gnocchi is cooked through. Add the reserved cooking liquid as needed to make a thicker sauce. Stir well and cook for another 2-3 minutes. Plate the gnocchi, top with cheese and enjoy immediately.